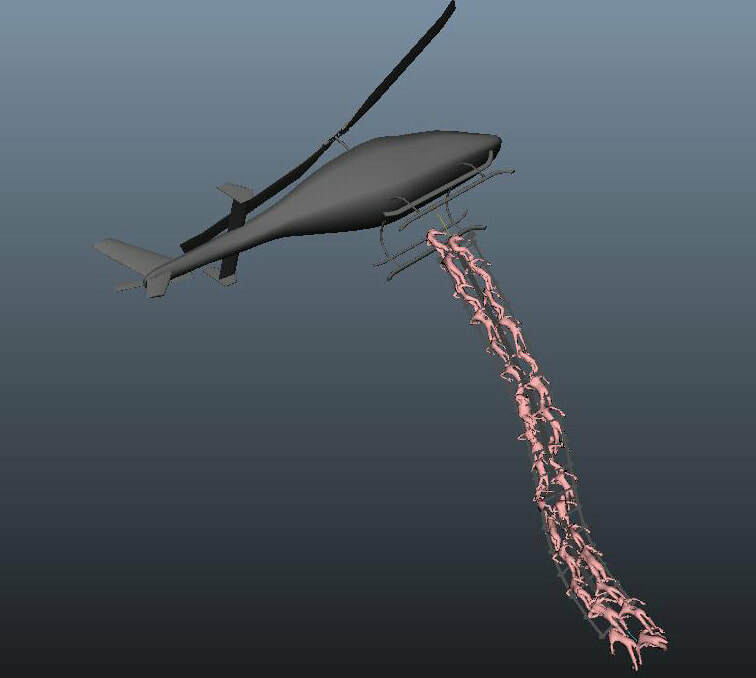 With Layer Cache Based Dynamics simulation, all layer cached agents can enable dynamics and create a shell interactive with the simulating agents. With this technique, we can simulation big number of dynamical agents like 10K-30K or more. ​This feature was inspired by a real production. 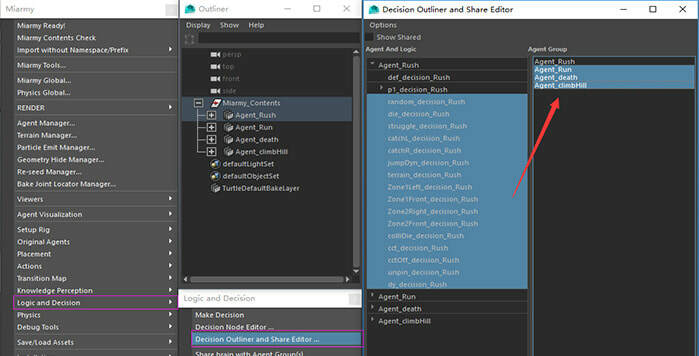 If you are trying to simulate a scene with 40 agent types, you can now simply check/edit/share the decision logic from the latest brain share UI and outliner. It’s very easy and time-efficient. ​In the new version of Miarmy, we’ve re-wrote the prman render procedural and exporter and now it supports pixar renderman and 3delight better. It also supports native shaders and randomize them better. You don’t need to compile and deal with shaders anymore.